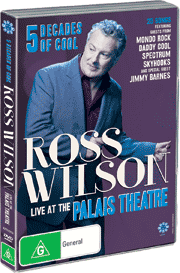 Ross Wilson (founder And Front Man Of Legendary Oz Rock Bands `Daddy Cool` And `Mondo Rock`) celebrated 45 years in the Australian music business with an anniversary concert. What a journey it’s been. From his first single with the `Pink Finks` In 1965 to the `Party Machines`, `Sons Of The Vegetal Mother`, Blitzing the 70s with `Daddy Cool`, Producing `Skyhooks`, Forming `Mighty Kong`, hits in the 80’s With `Mondo Rock`, and Tripping The Solo Fantastic from the 90’s til now. Guests across all five decades include members of `Skyhooks`, `Daddy Cool, `Mondo Rock, Jimmy Barnes, and more. 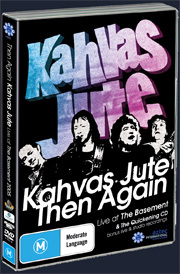 Recorded live from The Palais Theatre in St Kilda (August 14th 2009).